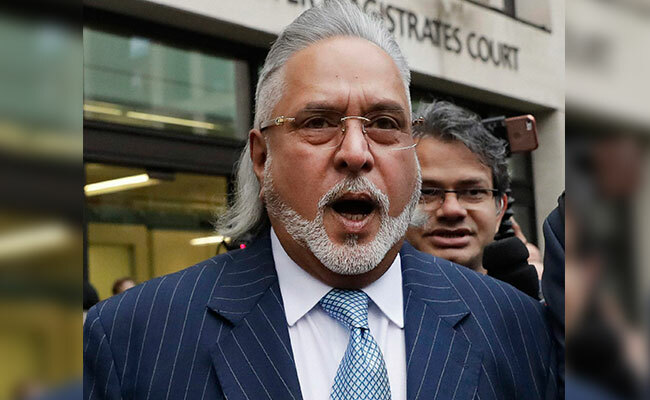 India's Enforcement Directorate (ED) has moved a court to declare beleaguered businessman Vijay Mallya as a ‘fugitive offender’ and to confiscate his assets worth £1.25 billion. Officials said the ED filed an application before a Mumbai court under the recently promulgated Fugitive Economic Offenders Ordinance that empowers it to confiscate all assets of an absconding loan defaulter. The application seeks to immediately confiscate about £1.25 billion worth assets of Mallya and his companies, both movable and immovable. The ED has furnished evidences in its two charge sheets, filed under the Prevention of Money Laundering Act (PMLA) in the past, to make a case for seeking a fugitive offender tag for Mallya from the court. Mallya is contesting these money laundering charges in London as part of India’s efforts to extradite him from there and face the legal system here in connection with an overall alleged loan default of over £900 million of various banks. As per the existing process of law under the PMLA, the ED can confiscate the assets only after the trial in a case finishes, which usually takes many years. The Modi government brought the fugitive ordinance as “there have been instances of economic offenders fleeing the jurisdiction of Indian courts, anticipating the commencement, or during the pendency, of criminal proceedings.” The Fugitive Economic Offenders Bill, 2018 was introduced in the Lok Sabha on March 12 but couldn’t be taken up due to logjam in Parliament over different issues. With Parliament being adjourned sine die, an ordinance was proposed. On April 21, the Union Cabinet approved the ordinance and the President gave his assent to promulgation of the same a day later. The ordinance makes provisions for special courts under the Prevention of Money Laundering Act, 2002 to declare a person as a fugitive economic offender and order immediate confiscation of assets. “A Fugitive Economic Offender is a person against whom an arrest warrant has been issued in respect of a scheduled offence and who has left India so as to avoid criminal prosecution, or being abroad, refuses to return to India to face criminal prosecution,” the government said. Cases of frauds, cheque dishonour or loan default of over £10 million would come under the ambit of this ordinance.